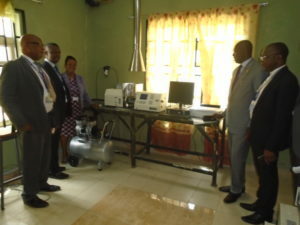 The Vice Chancellor, Professor Lawrence Ikechukwu Ezemonye, alongside other Principal Officers, visited the University’s Central Laboratory on Monday, February 25th, 2019, to inspect the testing of the newly installed Atomic Absorption Spectrophotometer equipment in the Chemistry Laboratory Wing of the Central Laboratory. 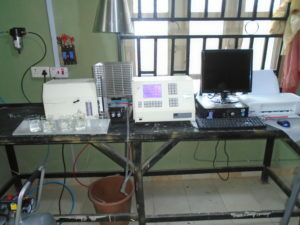 The multi million naira machine, the Atomic Absorption Spectrophotometer, is a high energy processor designed to measure the concentration of elemental metals in solution. It provides integrated measurements in absorbance or emission intensity, as well as sample concentration in comparison to standard solutions. 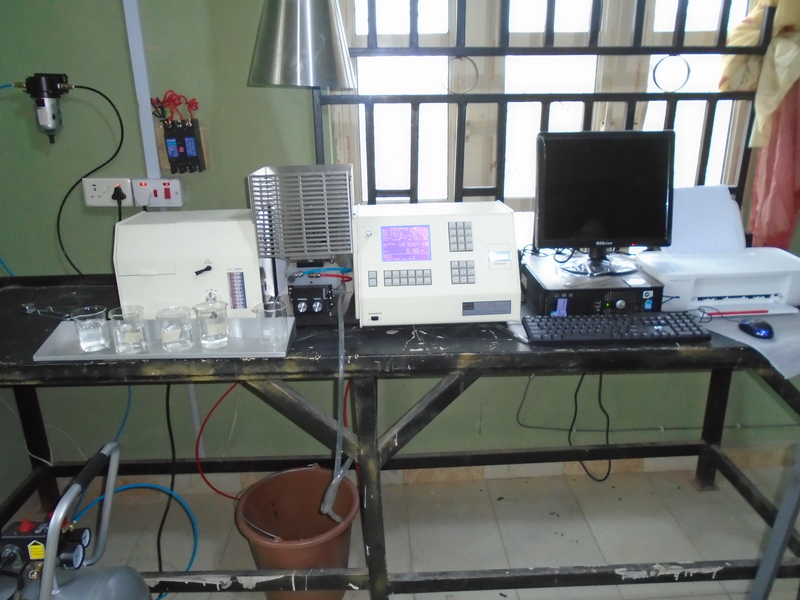 It will enable staff and students to conduct experiments that will yield more accurate results. This venture is part of a campus-wide overhaul under the Vice-Chancellor’s initiative that will see all the areas of the University revamped. This will, in turn, create an environment that will produce graduates and academics that are able to more adequately compete both locally and internationally.